It's no secret that I'm obsessed with avocados. I normally eat them on toast for breakfast, and usually I can keep up with my subscription (six a month from Barham Avocados) eating them this way. However, this month they seemed to ripen faster than I could eat them, and I thought it would be a good excuse to try some more avocado-based baking! You may remember that last year I made a vegan chocolate avocado cake with chocolate avocado icing, (cake recipe from Joy The Baker, icing recipe from Paleo Spirit), which I totally loved. This time though, I felt like something altogether plainer - a sturdy cake for afternoon tea (or even breakfast! ), rather than a glossily-iced celebration cake. 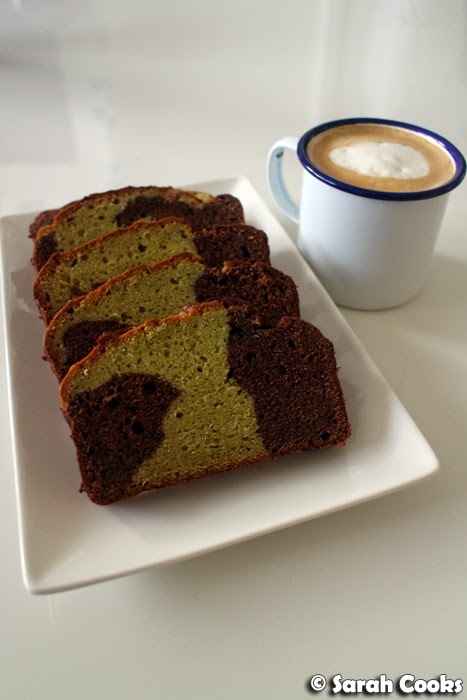 Some googling led to avocado pound cakes, which seem to be pretty popular across the foodie interwebs. 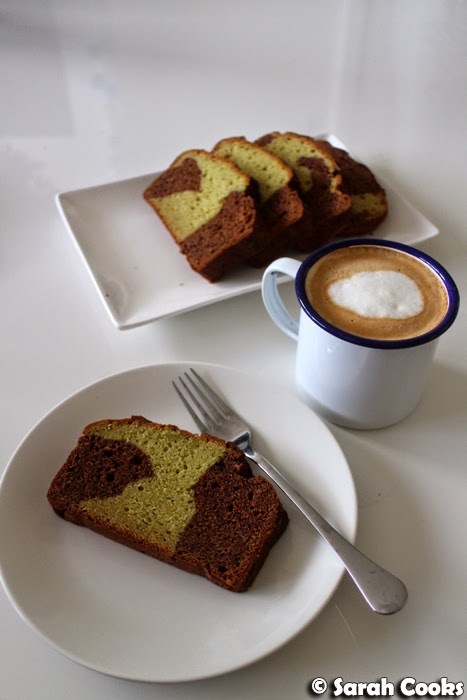 Seeing as I liked Joy The Baker's vegan chocolate avocado cake so much last time, I decided to go with her version of avocado pound cake. 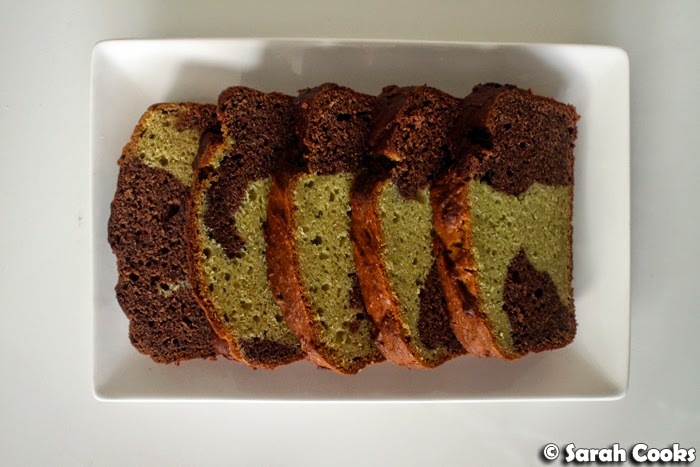 I changed it up by replacing the suggested cornmeal with almond meal (simply because I had it in the pantry already), using milk and yogurt instead of buttermilk, and turning it into a marble cake because chocolate swirls are The Best. I also halved quantities to make just one loaf. Too easy! I don't think I've made pound cake before, although I did used to love the Sara Lee poundcakes that my mum would buy us when I was a kid! Essentially, pound cake is a pretty standard creamed butter cake - i.e. one for which you cream together butter and sugar, add eggs and vanilla, then fold in your dry ingredients alternately with milk - with equal weights of butter to flour to sugar to eggs. Looking at the recipe, I don't think the weights are exactly equal across the ingredients, but the cake still turned out well, and I think it's obviously recognisable as a pound cake! 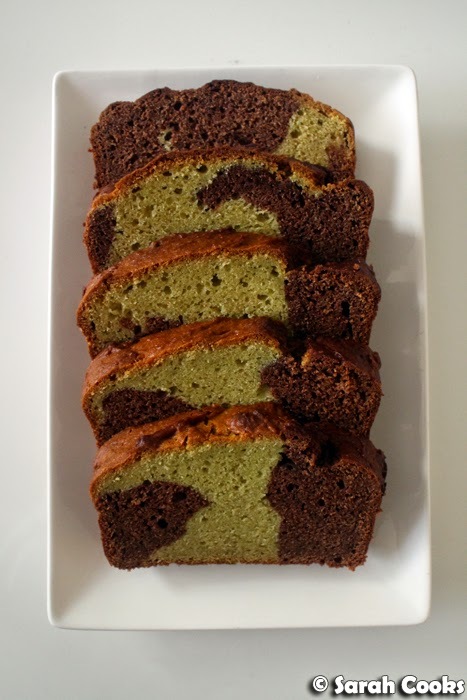 Of course, being an avocado pound cake, some of the butter in the recipe is replaced with mashed avocado. I love the pale jade colour that the mixture takes on once you add the avocado. Here are the mixtures in the tin - I wasn't particularly neat with it, and just spooned the alternating mixtures into the lined tin. I did whack the tin a couple of times against the bench to get rid of any major air pockets, and - phew! - it turned out pretty neatly once baked. I had initially thought I might want to ice the cake, like with a chocolate or lemon glaze, but it smelled so good coming out of the oven that I couldn't wait for it to cool and just cut myself a slice. And you know what? It doesn't need anything - it's very moist and has enough flavour to be delicious on its own. Hooray! It was so good! You can't really taste the avocado, so it just felt like a regular cake to me. We also shared it with some friends, and no-one twigged that there was anything unusual about the cake until they were told. It's also quite sturdy - perfect in thick slices with a nice cup of coffee. It also keeps really well - even on the fourth day after baking, the cake hadn't dried out and was still nice. (I didn't keep it in a tin, but just let it sit in the kitchen, uncovered on a chopping board). Sift together the flour, almond meal, salt, baking powder and baking soda into a mixing bowl and set aside. Cream together the butter and sugar in the bowl of an electric mixer, until well combined. 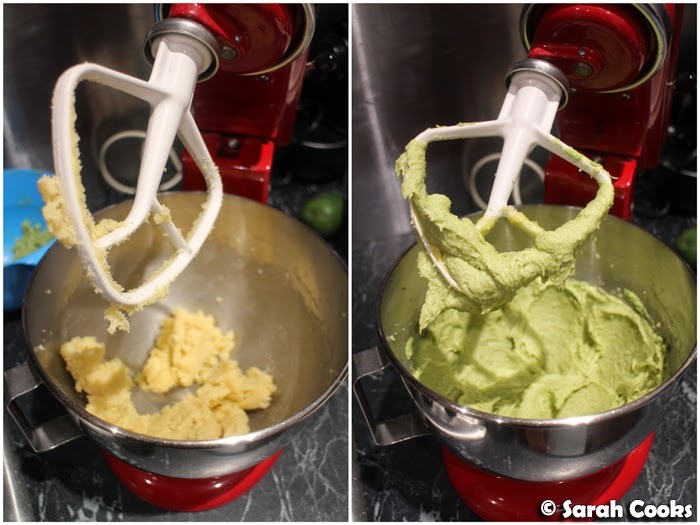 Add the mashed avocado and continue beating until thoroughly mixed. Using a wooden spoon, gently stir in half of the flour mixture, followed by the milk and yogurt, and the remainder of the flour mixture, stirring until just combined. Place half the mixture in a separate mixing bowl and sift in the cocoa powder. Stir to combine. Line a loaf tin with baking powder. Spoon alternating dollops of each mixture into the loaf tin, and whack the tin against the table a couple of times to settle the mixture. Place the tin in the oven and turn the temperature down to 160C. Bake for 30-50 minutes or until cooked when tested with a skewer. Allow to cool for 10 minutes in the tin before turning out onto a wire rack to cool completely. 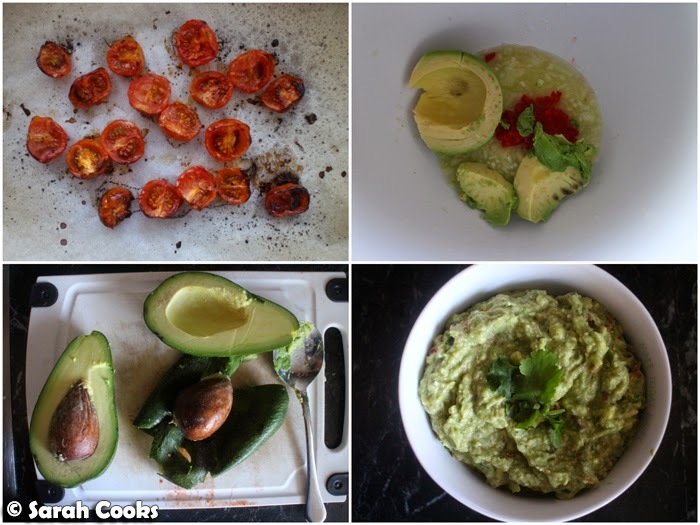 While we're here, let's have a look at some more avocado deliciousness! Here we have some avo on toast - some smashed, some sliced, all fabulous. I never had the Sara Lee poundcake growing up, but my nostalgia-version of that is Nanna's pies. I love this idea! A great variation on the other chocolate-avo desserts out there. G'day! I grew up in New York with Sara Lee Pound Cake too! Today I made your recipe, slightly adapting for my food lifestyle! Thanks for inspiring me! Perhaps my blog post and photo you might like to see! 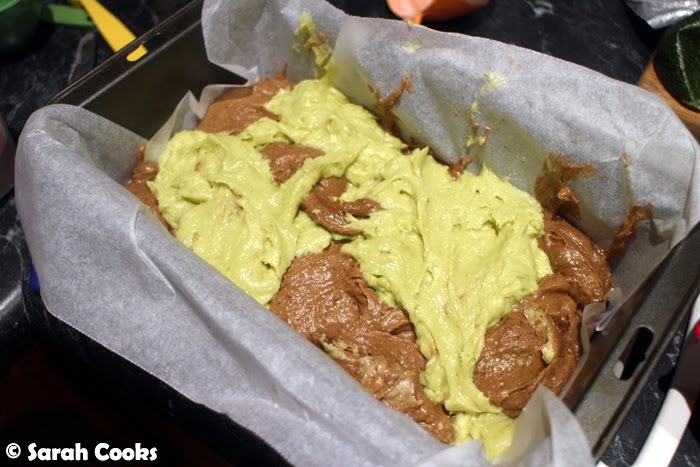 I've been following all your avocado adventures on Instagram, and definitely drooled a bit when your first pic of this cake came up. 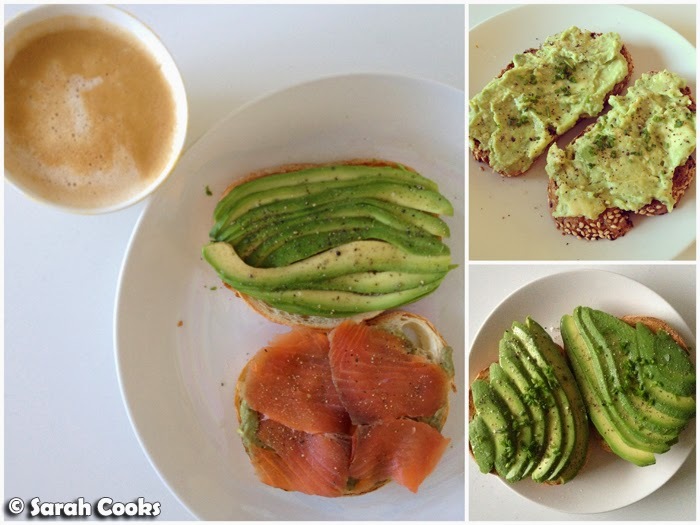 Looks delicious, and a nice change from plain avocado on toast. I'm really glad you like the recipe! As you can see, my pound cake had a little crack in it too! :) I'm sure yours still tasted great. Apparently cracks can come if the oven is too hot - maybe try baking your cake in a cooler spot in the oven - on the bottom shelf instead of in the middle or on the top.